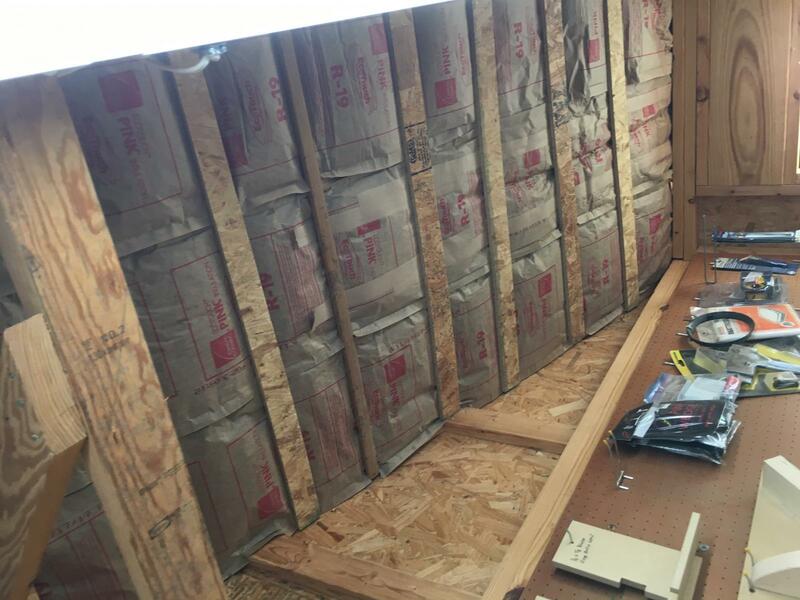 I need some advise in regards to insulating my shop. 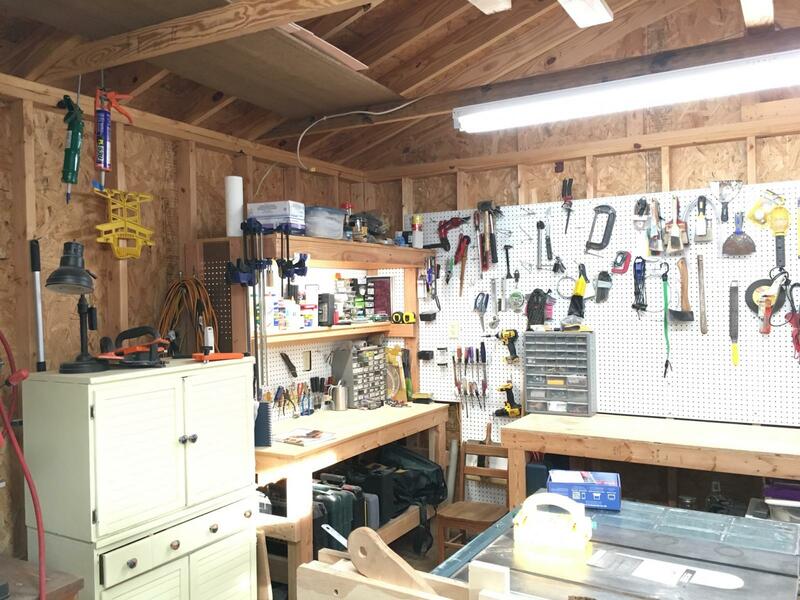 My concerns are primarily about ventilation and condensation in my modest 16x16 uninsulated shop with eave vents on two sides. I also have a 8x10 shed, and before I rejuvenated it from its dilapidated condition it didn’t have any ventilation, and it had a fairly bad condensation problem. 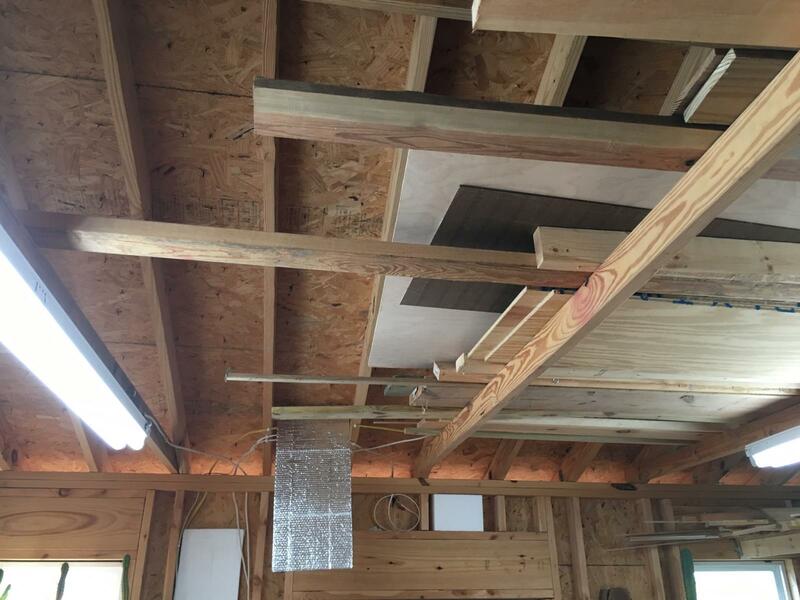 I’d like to insulate the roof and walls of my shop, but the combined 32 feet of eave ventilation means that much of my heat will disappear. How much of that ventilation can I cover and not wind up with rusted everything from condensation? 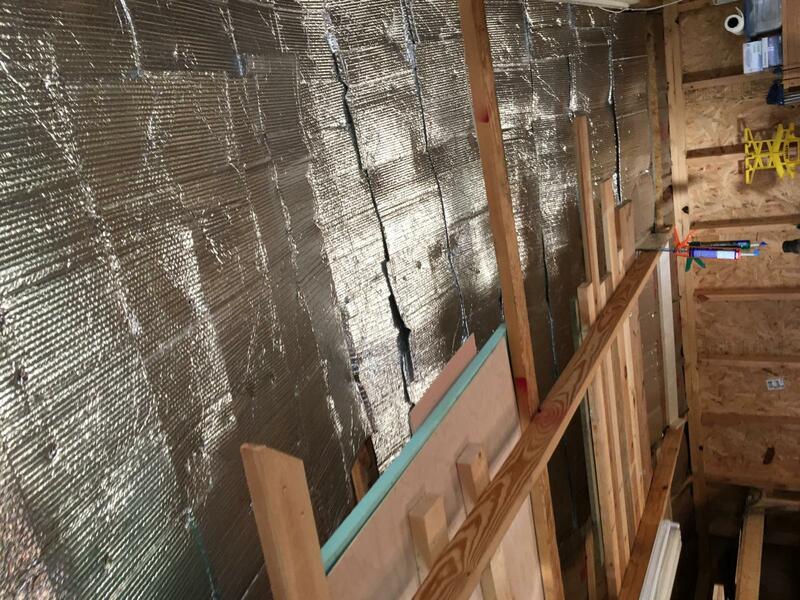 How would you insulate this space? good looking shop. I will leave the advice to the experts, i'm sure we have some carpenters in da house. I don't know enough to be giving advice, but like Wharf I like your shop, and I'm sure someone who knows one end of a hammer from the other will check in soon. Where do you live environmentally? Are your wanting to keep the shop warm in the winter or cool in the summer? I would think that would be helpful. What is the coldest average temp vs the warmest? If money is no concern just insulate like Juthro’s House with the highest R- rating you can get. A whole house fan I think it what it still called should help with condensation and especially in the hot months. I don’t know what I’m talking about but do know that those questions will help someone that does give good advice. Where do you live environmentally? Are your wanting to keep the shop warm in the winter or cool in the summer? . Mid-Atlantic US. Going to be in the teens tonight, but that’s about as cold as it ever gets. Mid 90’s in Aug. I’d love to be able to work in it comfortably year round. Money is definitely a consideration, but I value that space a lot, so I’m willing to spend a fair amount to do it right. Edited by Fresh Brewed, 30 December 2017 - 09:53 PM. I would think that you need to keep some ventilation in the eve's to avoid condensation problems, but again, its not my area of expertise. I know it was a big problem (lack of ventilation) and could cause a lot of mold and rot issues where I used to live at the Oregon coast, but here in Alaska... not nearly as much of a problem it seems, and you don't want to get rid of any heat you don't have to here in the winter. I would say to maybe research local building codes, even if they don't apply to your structure, you can use them as kind of a guide line for what's appropriate for your area. 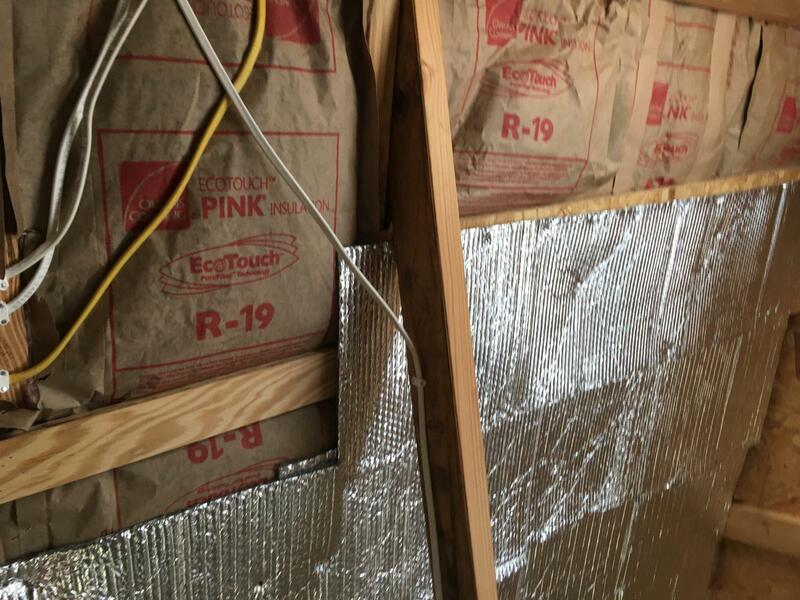 What you need to do for it to be right is to build a ceiling, seal it with tyvek and then place attic batting or 18 fiberglass insulation on it. 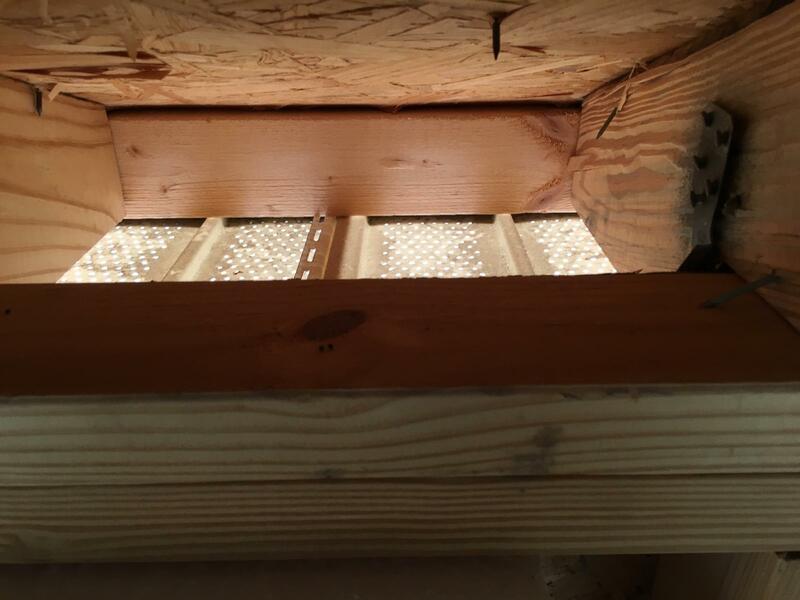 The ceiling goes to the walls so the soffet vents and ridge vent keep the moisture venting out, but your heat/cooling stays in the workshop. Standard 3 inch or foam in the walls should be fine. In summer you may still want to run a small portable dehumidifier. I have one in my workshop. Edited by SteampunkScientist, 21 January 2018 - 07:37 PM. A friend had his garage spray-foamed. He painted it a light color before putting everything back in the garage. He runs a fan all day every day and hasn't had any condensation issues. I'd be hesitant to give up the open air space above 8 feet. Looks like you have the gift of organization already but this would be an ideal time to re-organize, add in-floor heating and a keg cooler. Well alternatively you could build a steeped false ceiling under the rafters and do the same thing. I ended up installing a ridge vent first( cutting 2 15 foot slots in my roof was nerve wracking), followed by baffles running from the soffit vents to the ridge vents, 6 inch R18 fiberglass after that held in place by bolster slats that I cut from left over plywood that I had laying around taking up space and I topped(bottomed ?) it off with reflective foil insulation that I’ve been saving from the trash at work for the last year. It’s made a huge difference so far in being able to warm up the shop to work in and to keep it above freezing to protect my overwintering cacti during really cold snaps. I have high hopes for the summer as well. The roof used to radiate heat like an open oven door.